Call Us at 905-824-6597 to get started today! Spring, Fall, Whenever. We’ll clean up your property. Clear Cut Group yard clean-up can take care of anything from raking leaves, trimming hedges to the proper fertilization for grass and soil in preparation for the cold months ahead. Our Yard Clean Up Service will ensure your property is clean and prepared for southern Ontario’s winter. Serving Oakville, Mississauga, Brampton, Etobicoke, Georgetown, Burlington and Milton our Yard Clean Up Service is done by a professionally trained and uniformed staff. Feel confident while we are on your property as Clear Cut Group if fully bonded and insured. Prepare your lawn for the winter months with Clear Cut Group Fall Lawn Care Service. Fertilizing you lawn has a few beneficial purposes. 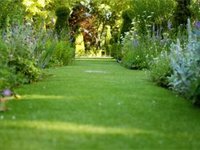 It helps to replenish the nutrients that have been drained over the summer months and it also gives your lawn a healthy head-start for the ‘hibernation’ in the winter. Clear Cut Group uses a special formulated fertilizer that was designed specifically with winter in mind. The nutrients are absorbed into the roots and will withstand the winter weather. 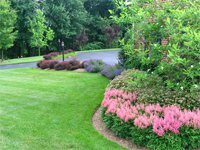 Neglecting your lawn in the fall can be reflected in the following spring months. Lawns that are not fertilized during the fall will have brown spots and patched in the spring. With our fall fertilization service you can be confident knowing that your lawn will look beautiful in the spring. 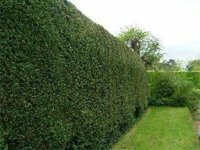 If you require your hedges to be cut then Clear Cut Group is your absolute best choice. Cutting your hedges on a regular basis will ensure your hedges health. It will also make your property look neat and clean. Clear Cut Group hedge cutting service is conducted by a professionally trained and uniformed staff. We have professional hedge cutting equipment and tools to do the job right and we always clean-up anything that gets cut and bag it properly. 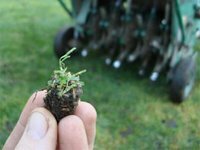 Aerating your lawn can do wonders after the winter season. Aerating your lawn is the process of creating small holes which relieve thatch build-up. By aerating your lawn essential nutrients from fertilizers can reach the soil and air and water can get through. Your lawns roots will grow deeper and your lawn will be thick and lush as a result. Aerating your lawn in the fall before the winter will prepare it for the cold winter months. With the fall season comes the changes in weather and many leaves. If you have trees surrounding your property then you’ll need them to be removed and raked to not only maintain a nice looking property but also to ensure that your lawn is protected during the winter. 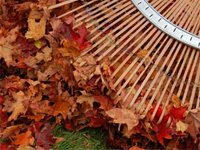 Our leaf raking service will remove anything from your lawn that the change in season brings. Why waste valuable hours raking leaves when you could have a professional team that will properly bag your leaves and leaves your lawn clean and protected for the cold season ahead? 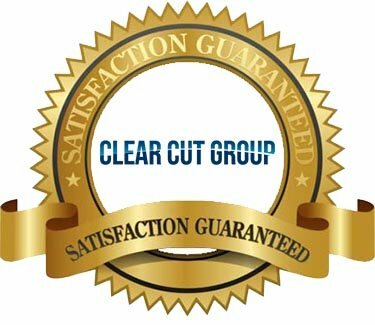 Clear Cut Group Yard Clean-Up Service is second to none. Cleaning your yard from various property jobs can be a daunting task with dozens of bags of yard waste produced as result. Let Clear Cut Group take care of your yard clean-up needs! We can come and clean up your yard anytime – not just in the fall. Whether you need yard clean-up from various landscaping jobs or you need someone to remove those old shrubs and hedges Clear Cut Group will leave your property looking clean and presentable. Clear Cut Group takes all yard cleaning jobs seriously and uses the same professionalism regardless if your yard clean-up job will take less then an hour or more then a week. All our staff is trained to deal with a variety of yard clean-up duties. They’re fully uniformed with a wide range of equipment to get any yard clean-up job done. Yard Waste Removal by Clear Cut Group is the most reliable and environmentally sound way to remove yard waste from your property. 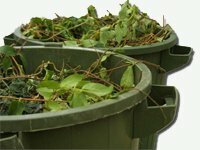 If you have several bags of yard waste then contact Clear Cut Group to have your yard waste removed. We can bag a pile of debris that’s in your yard. Our professional staff are fully uniformed, bonded and insured so you can feel confident when we are on your property. Whether you have a simple bag of leaves from your home or your business has dozens of bags of yard waste Clear Cut Group is your yard waste removal solution! Clear Cut Group Yard Clean-up service covers anything to do with cleaning and your property in preparation for the cold months ahead. However, Clear Cut Group is available anytime to do any of these services. If you have a special request or need please contact us and a representative will get back. Even if you require pruning or weed removal Clear Cut Group will come to your home with a professionally trained staff to make sure you’re satisfied. Our Yard Clean Up service is unique to every client. You may wish for all the services listed, one service or even a service that isn’t listed here at all. In any event were confident that we help you prepare your property for the winter’s months ahead. Our crews are fully bonded and insured giving you peace of mind when we’re on your property. With over 10 years experience serving both residential and commercial clients, our technicians are ready to get started on your FREE QUOTE with absolutely no obligation on your part. Copyright© 2018. Clear Cut Group. ALL RIGHTS RESERVED. Designed by Lawn Care Marketing Mechanic.